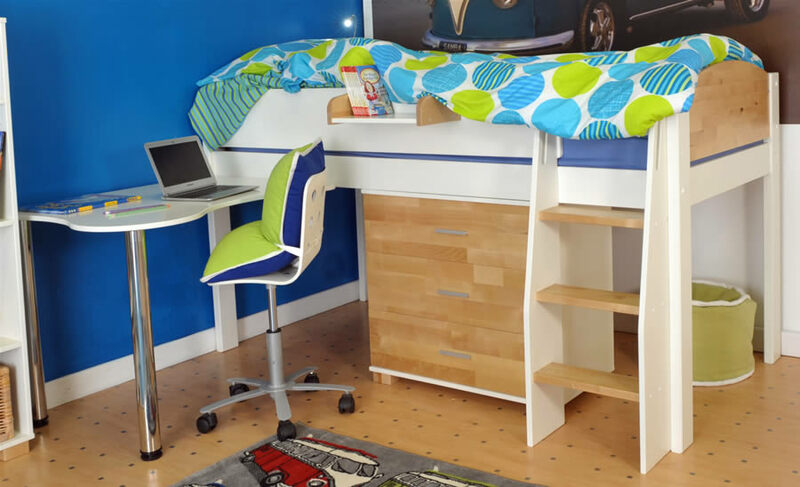 The Kids Avenue Urban white midsleeper bed set 1 is made from solid pine with natural birch steps, headboard and foot board whilst featuring a reversible ladder, 3 drawer chest and 2 leg curved desk. 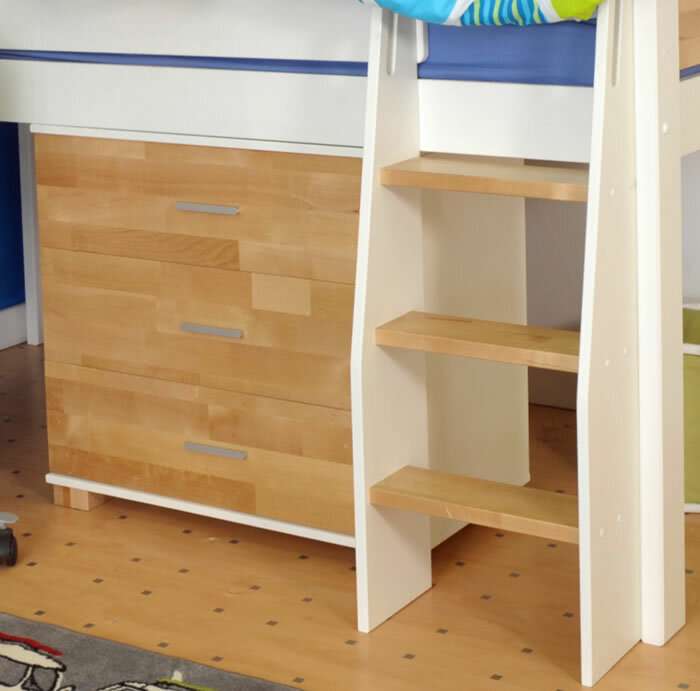 Offering additional bedroom storage the Urban free standing 3 drawer chest can be positioned under the bed frame or elsewhere in your child's bedroom. 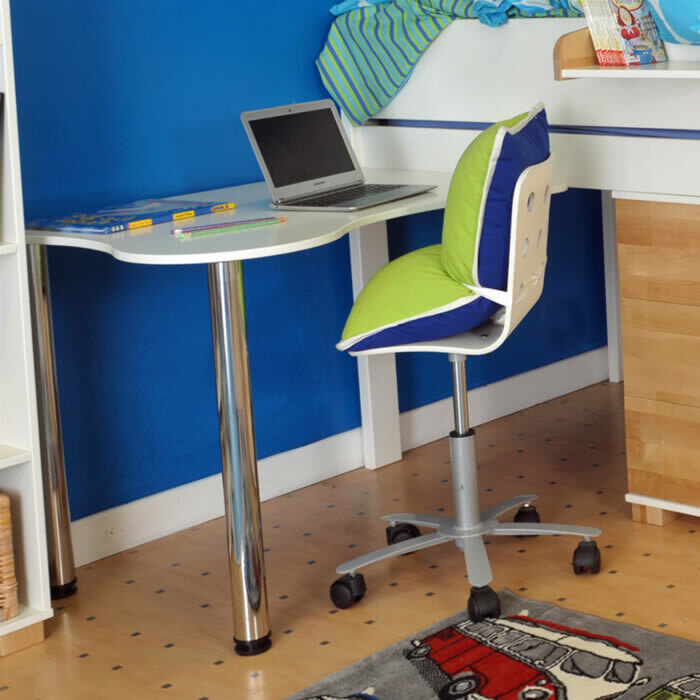 For study and play the Urban desk with 2 chrome legs is a great solution and it can be reversed and fixed to the side or ends of the Urban midsleeper bed frame. 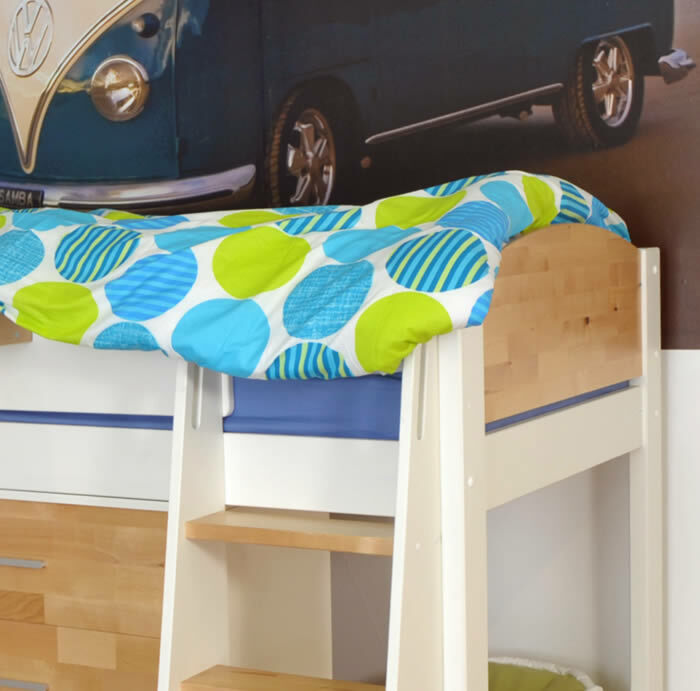 Suitable for a continental 90cm wide by 200cm long mattress your child will benefit from the Urbans additional growing space over a standard UK sized mattress.